Metabolic Maintenance is now offering a Restorative Cleanse to help kickstart Spring with a boost for your body! How about welcoming the warmth with some rest and recovery for your vital organs, support for your body’s natural detoxification system, and optimization of your digestive system? The Restorative Cleanse Kit combines three optimally nourishing nutritional products, a shaker bottle and carefully crafted literature to support you throughout your cleanse. Along with a supplementary nutritional shake powder, our kit includes pre- and probiotics to maximize the benefits of your improved diet. The literature provides tips for preparing your body and kitchen for the cleanse, a shopping list to help avoid temptation and confusion, smoothie recipes and a self-care journal to guide and track your progress. The clean nutritional products and information provided in the kit have been crafted to enhance your well-being and improve your lifestyle behaviors through education and experience. Fasting, detox teas, and juice cleanses may help you lose weight fast, but no randomized controlled trials have ever provided evidence that taking a break from digestion benefits the body. In fact, it may disrupt your normal metabolism and cause you to gain more weight if you return to eating normally again afterward. Our liver and kidneys are finely tuned machines for ridding our bodies of toxins and the microbiota in our gut can be manipulated to maximize the absorption of nutrients from what we ingest; you don’t need to stop eating to cleanse your system! Practically, more stringent fasts can leave you with less energy and symptoms such as lightheadedness and lack of focus that can make it difficult to function throughout the day. As most people cannot take time from busy schedules to cleanse, a cleanse that provides energy to deal with daily activities is a more sensible choice for most. Many Americans are relying on stimulants and depressants to get through their day. Caffeine and sugar or white flour foods can provide quick but unsustained bursts of energy. If you have been relying on these for quick stimulation you may feel sluggish in the first days of the cleanse. Food suggestions on the cleanse and the Metabolic Detox Complete shake provide sustained energy between meals. By the middle of the cleanse you should notice that you have reliable energy throughout the day for all you want to accomplish. Conversely, at the end of the day, many people are still stressed and rely on alcohol, a central nervous system depressant, to segue into sleep. Unfortunately, alcohol interferes with sleep quality and can lead one to feel groggy the next day. Though avoiding alcohol does not banish all sleep issues, it should help improve the quality of rest you do get through your cleanse. A standard American diet is often high in processed carbohydrates and sugar and low in fiber and vital nutrients. By adding fiber and protein to meals many people will experience a more balanced blood sugar response. This can translate into more stable energy, and a more balanced stress and mood response. The standard American diet is also nutrient poor. Many people will find their nutrient profile is improved on the cleanse. By providing nutrients in a healthful shake and in improved food choices via a wide variety of vegetable and fruits as well as healthful fat and protein choices habitual nutritional gaps may be addressed. This cleanse asks you to avoid common food sensitivities such as gluten and dairy. At the end of the cleanse you will be guided to reintroduce these foods in ways that should increase your self-awareness of how these foods may impact your daily well-being. Avoiding food sensitivities can increase energy, support healthy skin, and ease digestion. The elimination of processed food and unhealthful fats means a reduction in the undesirable input your liver deals with. Although your body is naturally equipped with a detoxification system, if you pile in toxins faster than it can process them, the buildup can start to take a toll on your body. It is important to remember that we are exposed to an increasing number of chemicals through the water we drink, the products we put on our skin, and the air we breathe. Our liver also deals with breaking down internal substances like hormones. Ingesting an unhealthful diet is just adding more to our body’s workload. It makes sense then, that when the body gets a vacation from fighting to break down high-calorie, low-nutrition food for a few days, you feel better. But do you need to go hungry for relief? No way! Avoiding these taxing foods in your diet while nourishing your body with vital nutrients will boost your body’s functions without wreaking havoc on your metabolism. This is exactly what Metabolic Maintenance’s Restorative Cleanse Kit is designed to do. The cleanse is designed to be 21 days in length. We hope you will use the recommended tips for clean eating, regular exercise, and self-care advice to start new, healthier habits that carry on after the cleanse is complete. Spring is a fabulous time to turn over a new leaf, and this brand new cleanse kit will be available in early 2019 to help you do just that. What Products are Included in the Kit? The kit includes Metabolic Detox® Complete (a meal replacement and well-rounded nutritional supplement all in one), BioMaintenance® Shelf Stable Probiotic 50 billion / 12 strains, BioMaintenance® Prebiotic+Fiber, Restorative Cleanse Protocol to guide your journey, a shopping list to fill your kitchen with nourishing foods, and a self-care journal, giving you a space to track your progress while providing tips for struggles you may encounter during your cleanse. If you choose to add other supplements to your cleanse to support your body’s systems in a variety of targeted ways, we have suggestions to offer, and those added supplements can be delivered to your door at the same time as the cleanse kit. The cleanse asks you to eliminate all food and drink that are health depleting, commonly contaminated, or difficult for the body to process. These culprits include alcohol, coffee, all added sugar and artificial sweeteners, processed or preservative-containing foods, colorings or dyes, trans fats, refined vegetable oils, gluten, dairy, soy, corn, eggs, and conventionally raised meats. But you should never go hungry, so treat your body to a plant-rich diet, full of seasonal vegetables, raw unsalted nuts, organic meats, and wild caught fish. We encourage you to follow our shopping list for more details. This is the workhorse of the provided products. It is a healthful meal replacement and provides nutritional support for the liver’s Phase 1 and Phase 2 detoxification processes. If you have experienced detox shakes you will be wondering how this one tastes. The vanilla flavor is highly palatable on its own and easy to blend with a wide variety of fruits and other foods for flavor variety during the cleanse. The 21 gram serving of protein (a combination of pea, rice, and hemp) in 2 scoops of the powder will keep you feeling satiated. It is dairy, soy, egg, and gluten-free. There are only 3 g of all natural sugars (sweetened with monk fruit) in each serving and it provides 20% of your daily recommendation for dietary fiber. Metabolic Detox® Complete powder includes vitamins A, C, D, E, and K, as well as B vitamins; thiamin (B-1), riboflavin (B-2), niacin (B-3), pantothenic acid (B-5), B-6, folate (B-9), B-12, and biotin. B vitamins are commonly associated with energy production, nervous system maintenance, and cardiovascular health. They are used for the production of energy in the mitochondria of every cell in the body. Inositol was once called B-8 and considered a member of the B vitamin family. It has since been further classified as a pseudovitamin but shares the qualities of many B vitamins as a stress reducer and mood lifter. Many nutrients in Metabolic Detox® Complete are considered to be “antioxidants” as they neutralize free radicals. Free radicals are a natural byproduct of general metabolism, but their abundance in the body can be exacerbated by an influx of toxins or a stressful lifestyle. Oxidative stress and oxidative damage to cells occur when the production of free radicals is faster than the body’s ability to scavenge and detoxify them. Antioxidants can help to slow or reverse some oxidative damage, working like a detoxification team on the cellular level, and so are a key element of our Restorative Cleanse. Vitamin E is a fat-soluble vitamin with high antioxidant potency that specifically protects cell structure by supporting cell membranes. Vitamin C, well known as an immunity booster, is also essential for the synthesis of collagen, carnitine, and neurotransmitters. Vitamin C works synergistically with vitamin E to quench free radicals and to recycle the reduced form of vitamin E. Vitamin A can be converted to retinol, an essential nutrient for vision. It is also a strong antioxidant and essential for immune health. The selenium and green tea leaf extract in Metabolic Detox® Complete are also powerful antioxidants, and green tea leaf extract may also help you burn calories at a faster rate, thereby boosting your metabolism. Vitamin D is necessary for the maintenance of bone health and calcium homeostasis, but deficiency has become a common problem as research on skin health discourages individuals from spending time exposed to sunlight. Vitamin K has been also been shown to aid in the maintenance of healthy bones by regulating calcium uptake in bone tissue, increasing new bone formation and reducing bone resorption. Zinc, copper, manganese, and boron also support bone mineralization. As the liver is a key organ in detoxifying our bodies, liver support is a specific target of Metabolic Detox® Complete. Silymarin is an extract of the milk thistle (Silybum marianum) and a dietary supplement taken to maintain healthy liver function. Silymarin also exhibits fairly specific effects on cell-regulating mechanisms as an antioxidant, indicating a potential for this extract to reduce toxic effects of other drugs. N-acetyl-cysteine (NAC) is another protector of liver cells as it is a precursor for glutathione, which is essential for a healthy liver for a variety of reasons. Silymarin is also known to increase hepatic glutathione and may also contribute to the antioxidant defense of the liver. Molybdenum is an essential trace element in our diets. It helps process sulfites that occur naturally in some foods and are added to others. Molybdenum is also found in tooth enamel and may help prevent its decay. Chromium, another essential trace element is required for proper metabolism and enhances the action of insulin, allowing cells to acquire more energy from what we’ve eaten. Metabolic Detox® Complete powder is not the only supplement involved in healing and restoring your body during this cleanse. We have also included a shelf stable probiotic, and a prebiotic with fiber to streamline your digestion and make sure your body is absorbing the maximum amount of nutrition from your new, clean diet. These supplements all work synergistically to get your digestive system working on an optimal level to absorb maximum nutrition. Studies have shown that probiotics improve the bioavailability of all B vitamins as well as many essential minerals found in Metabolic Detox Complete, such as calcium, zinc, iron, phosphorus, copper, and magnesium. The microbiome responds to changes in diet. As you make more healthful food choices throughout the cleanse it is a perfect time to establish more healthful bacteria as well. Knowledge of how the microbiome influences overall health is increasing by the day. By balancing the microflora of the gut, research has demonstrated that probiotics can improve overall digestion and encourage regular bowel movements, decrease the severity or frequency of irritable bowel syndrome, stimulate immune system response, promote healthy yeast balance and vaginal health, enhance tolerance of lactose, increase nutrient absorption from food, remedy halitosis (bad breath), and improve skin complexion. By balancing the microflora of the gut, research has demonstrated that probiotics can improve overall digestion and encourage regular bowel movement, decrease the severity or frequency of irritable bowel syndrome, stimulate immune system response, promote healthy yeast balance and vaginal health, enhance tolerance of lactose, increase nutrient absorption from food, remedy halitosis (bad breath), and improve skin complexion. Elimination is an important step of the detoxification process. Drink plenty of water and increase your fiber intake if you are not having a bowel movement daily. Epsom salt baths, gentle exercise like walking and nightly magnesium citrate supplements can also help stimulate regular bowel movement. 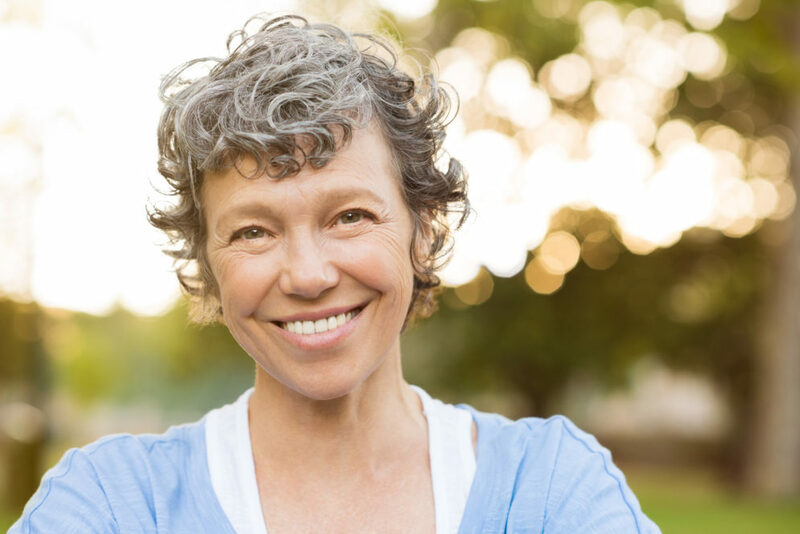 Our probiotic, BioMaintenance® Shelf Stable Probiotic, provides powerful dosing and offers increased therapeutic diversity with 12 strains to rapidly replenish beneficial bacteria. These 12 strains were carefully researched and chosen for therapeutic benefit, resistance to digestion, adherence to intestinal cells and stability. Our product is formulated to have 50 billion viable CFU at the end of its two-year shelf life, verified by third party testing. Unlike many probiotic supplements, BioMaintenance® Shelf Stable Probiotic does not require refrigeration to maintain its potency. Lactobacillus strains make up a significant portion of healthy microflora. Species in this genus all create lactic acid by metabolizing sugar. This increase in acidity creates an inhospitable environment for harmful organisms and helps to cleanse the digestive system of toxins and waste. Lactobacillus acidophilus metabolizes sugar by making the enzyme lactase, which is responsible for breaking down lactose. Insufficient production of lactase by the body is the root cause of lactose intolerance. Therefore Lactobacillus acidophilus may reduce digestion-associated discomfort in people who typically suffer from lactose intolerance. Bifidobacterium are found in the mouth, throughout the digestive tract, and make up the largest proportion of the bacterial flora in the colon. Bifidobacterium species and strains play a vital role in breaking down and utilizing carbohydrates. Bifidobacterium lactis, the strain making up the highest proportion of Bifidobacterium in BioMaintenance®, is a very powerful transient probiotic bacteria. Scientific studies have shown B. lactis to enhance immunity, improve digestion and aid in the healthful management of cholesterol levels more significantly than any other probiotic species yet identified. This product has been included in your cleanse for several reasons. The fiber it contains increases feelings of satiety, aiding you in feeling less hungry. It lowers the glycemic response to food, supporting normal blood glucose response. It also supports healthy elimination. Elimination is an important step of the detoxification process. Byproducts of liver detoxification pathways are eliminated by the kidneys, bowels, and skin. Drink plenty of water and increase your fiber intake if you are not having a bowel movement daily. Epsom salt baths, gentle exercise like walking and nightly magnesium citrate supplements can also help stimulate regular bowel movements. Prebiotics are different from probiotics. Probiotics are alive and require nourishment in order to elicit an effect, so they consume substances called prebiotics as their food. As with many high-fiber foods, the human gastrointestinal system cannot digest or absorb much nutrition from prebiotics alone. Prebiotic fiber goes through the small intestine undigested and is fermented when it reaches the large intestine, feeding beneficial bacteria colonies (probiotics) and increasing the proportion of desirable bacteria in our digestive system. Once fermented, prebiotics cause beneficial change to the composition and activity of the gut microflora, allowing for improved digestion, higher immune function, better hormonal balance, reduced stress response, lower risk for obesity and weight gain, healthier cholesterol levels, and reduced inflammation. Research has suggested that prebiotics also lead to an increase in calcium absorption and may help to improve bone density. Although all prebiotics are fiber, not all fibers are prebiotic. In order for an ingredient to be classified as prebiotic, it must show resistance to 1) the acidity of stomach acid, 2) breakdown by mammalian enzymes, and 3) absorption in the upper intestinal tract. It must be fermentable by microflora in the large intestine and also selectively stimulate the growth and activity of the probiotic strains of bacteria known to promote health in the host. A few examples of fibers that qualify are inulin, oligofructose, lactulose, and resistant starch. Strains of lactobacilli and bifidobacteria are the probiotics targeted by most prebiotic fiber compounds, as these microbes exhibit a preference for oligosaccharides for consumption. Our product, BioMaintenance® Prebiotic + Fiber, is an excellent option for nourishing your healthy microbiome. In only 12 calories and six grams of total carbohydrates, this supplement is jam-packed with five grams of dietary fiber, isomalto-oligosaccharides, alpha galacto-oligosaccharides, xylo-oligosaccharides, and fructo-oligosaccharides. This cleanse isn’t all about the supplements though. We want to support you wholly in making sure you know which food to eat, and which to avoid during your detoxification. We recommend you take a little time to plan. Make a menu and use the shopping list to stock up on your favorite healthful foods. Remove sweet and fatty snack foods from the cupboards. Steps like this taken beforehand can increase success in sticking to the plan in the middle of the cleanse. During the cleanse, you’ll also have the support of our self-care journal, which is full of research-backed advice for navigating the natural cycles of emotions, cravings, and swings in energy levels that come along with a detoxification process. Metabolic Maintenance®’s Restorative Cleanse Kit is here to nourish your body’s natural detoxification processes rather than restrict needed nutrients. Gift your body with the right nutrients, rest, and time, and in return, you may be surprised at how much better you feel. Al-Ghazzewi, F.h., and R.f. Tester. “Impact of prebiotics and probiotics on skin health.” Beneficial Microbes (2014): 99-107. Armas, Laura AG, Bruce W. Hollis, and Robert P. Heaney. “Vitamin D2 is much less effective than vitamin D3 in humans.” The Journal of Clinical Endocrinology & Metabolism89.11 (2004): 5387-5391. Bao Y., Al K.F., Chanyi R.M., et al. “Questions and challenges associated with studying the microbiome of the urinary tract.” Ann Transl Med. (2017): 5(2):33. Bengmark, S. “Ecological control of the gastrointestinal tract.” The role of probiotic flora Gut (1998): 42:2-7. Cunningham-Rundles, S., Ahrne´, S. and Bengmark, S. “Probiotics and immune response.” Am. J. Gastroenterol. (2000): 95:22–25. Curzon, M. E. J.; Kubota, J.; Bibby, B. G. (1971). “Environmental Effects of Molybdenum on Caries”. Journal of Dental Research. 50 (1): 74–77. doi:10.1177/00220345710500013401. Fehér, János, and Gabriella Lengyel. “Silymarin in the prevention and treatment of liver diseases and primary liver cancer.” Current pharmaceutical biotechnology 13.1 (2012): 210-217. Kalkwarf, Heidi J., et al. “Vitamin K, bone turnover, and bone mass in girls.” The American journal of clinical nutrition 80.4 (2004): 1075-1080. Pham-Huy, Lien Ai, Hua He, and Chuong Pham-Huy. “Free radicals, antioxidants in disease and health.” International journal of biomedical science: IJBS 4.2 (2008): 89. San-Miguel, B., et al. “N-acetyl-cysteine protects liver from apoptotic death in an animal model of fulminant hepatic failure.” Apoptosis 11.11 (2006): 1945-1957. Schrezenmeir, Jürgen, and Michael de Vrese. “Probiotics, prebiotics, and synbiotics—approaching a definition–.” The American journal of clinical nutrition 73.2 (2001): 361s-364s. Tang, Benjamin MP, et al. “Use of calcium or calcium in combination with vitamin D supplementation to prevent fractures and bone loss in people aged 50 years and older: a meta-analysis.” The Lancet 370.9588 (2007): 657-666. Wu, Guoyao, et al. “Glutathione metabolism and its implications for health.” The Journal of nutrition 134.3 (2004): 489-492.